i-Lipo uses a clinically-proven technique that stimulates the body’s natural response to fat-burning; using low-level laser energy, targeting particular areas of the body where excess fat has built up. When the body needs to draw upon stored energy reserves, it releases fatty acids and glycerol to be metabolised and to create energy. The laser treatment stimulates fat cells in the body to begin the process in a controlled way. It is a safe and painless process, which can be performed on all skin types and body areas where unwanted fat is stored with immediate results – in four weeks it is even possible to lose up to 24cm off your waistline. Body Shape – RF Quadro-Polar is an innovative apparatus used for a variety of body revitalization treatments that help the patient to regain a younger body form. It is used for Body Contouring, Skin Lifting, Cellulite Improvement and Skin Rejuvenation. 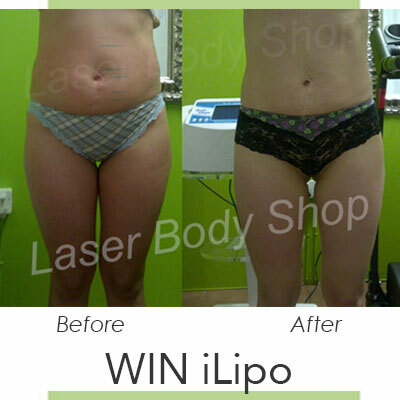 The Laser Body Shop uses both i-Lipo and RF on the same treated area to gain maximum results, while slimming and firming the skin at the same time! To win an i-Lipo treatment in Johannesburg worth R6500, visit The Laser Body Shop’s website here and answer the question below. Hint: The answer is not the treatment effects but rather the services they offer. •	The prize may be claimed in Johannesburg only.